I’ve been sharing my kid’s lunches on the Juggling Facebook page for about a year now. I get a lot of great feedback and have been encouraged to keep photographing the lunches and posting them. I have lots of folks tell me that they like to see the ideas and it encourages them to pack healthier lunches. I’ve realized that I haven’t done much here on the blog about healthy lunches and I want to change that. I want to introduce the Juggling Real Food and Real Life Lunch Corner. Here you will find lots of lunch menu ideas, healthy tips, and information on cool lunch gadgets. I think this is going to be a lot of fun. Please share with me in the comments, what types of posts you would like to see here. Let’s start at the very beginning. This is a Real Food blog. I blog about the ups and downs of trying to eat a mostly Real Food diet. This is not a “dieting” blog; it is not a Paleo blog; it is not a vegetarian blog or anything other than a Real Food blog. This blog is about me feeding my family. Please consult your physician on your individual needs. When I break it down this way it makes things simpler for me. I’m a busy Mom, I don’t have time for complicated! I also know that having a balanced lunch will help my family with their energy, mood, concentration and reduce headaches. My family likes to keep busy. We don’t need any break-downs because our blood-sugar has dropped. Let’s start with the healthy fats and protein. This is probably the most controversial area. Controversy……….. about a lunch? You betcha! People are very particular about what they feed their families. We all know that meat is a protein, but you don’t always have to have meat to include protein in your diet. I have found that organic meats and lunch meat without additives can be quite pricey. I like to offset the impact to my budget and provide greater variety by not always packing meat in lunches. I also have a daughter who is quite happy not eating meat with every meal. I call her my little flexitarian. What else has protein and healthy fats besides meat? Eggs, cheese, cream cheese, and peanut butter are all perfect for a healthy lunch box. Avocado, coconut oil, and nuts are also high in protein. A really excellent source of protein is yogurt. If you want to pump up the protein even more………try Greek yogurt. 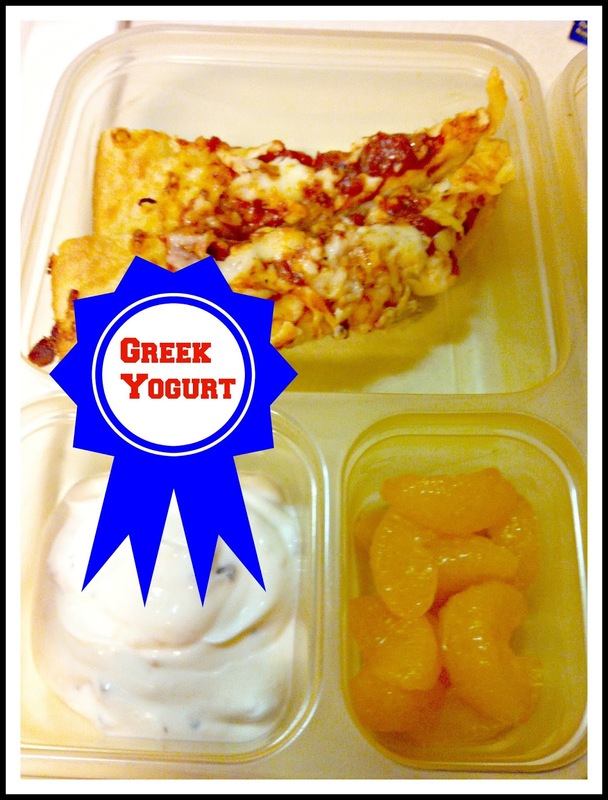 According to Livestrong.com, “Most Greek yogurts contain between 15 g and 20 g of protein per 6-oz. serving, regardless of the type of milk used, but consumers should read labels carefully to determine the nutrition content of a specific yogurt.” My mother comments on how I often put yogurt in the kid’s lunches. Now you know why. I’m going to end here for now, but I have one last note to share with you. I NEVER put food that I know my kids won’t eat in their lunch box. Some days they may be in the mood for something different or not very hungry or in a hurry and not eat all of their lunch. That happens. I’m OK with that. What I don’t like to do is introduce new items to them and not know if they will eat it or not. I want the kids to open up their lunch box each day and see wonderful nutritious food that they are familiar with. I want them to grow up with a healthy relationship with food. Now it’s your turn………..What are your favorite protein sources. Do you stick to just meat or do you include alternate protein sources? Do you pack lunch in the morning or at night? How many do you pack for? I can’t wait to hear from you. Leave me a comment here and I invite you to join the fun on our various social media. Just join us by using the various buttons at the top of the page. Lots more recipes, tips and fun to be had by all! I pack lunches in the morning but I always know what I'm going to put in them. I also alternate protein sources as neither of my kids are big meat eaters. I usually pack a protein, fruit, veggie, pretzels/blue chips/wheat crackers and I like to put a small treat in their bag too. I don't put anything they don't like in there either because I know they won't eat it. My younger son brings a snack for class also and I send him fruit or nuts or something more healthy. I work at the school part-time and it's amazing the junk food kid's bring. I bet you see a lot of junk food at the school. The kids are supposed to bring a healthy snack to class and you wouldn't believe what is considered "healthy" at our school. Tons of sugar and artificial colors. And that's supposed to help them get through the day and concentrate on their work. I couldn't pull it off without a plan. Sounds like you are doing a great job. We pack the night before and the kids usually want the same things. My son prefers sandwiches and my daughter likes to have salad greens with crusted chicken and homemade salad dressing. We usually try to make two days worth of lunches at a time for her, because the chicken has to be made ahead of time. Sounds like some good lunches you are making there. Crusted chicken sounds good to me, too. I half wish my kids would want the same thing every day. On the other hand, I appreciate the fact that diversity gives them a variety of nutrition as well. My youngest only likes a few sides. Applesauce is one of them. He tells me one night…….Mom, I want applesauce, applesauce and ummm………applesauce. Let's just say he got applesauce and some other things to go with it. Green vegetables have lots of protein too. Broccoli provides the greatest amount of protein per calorie. No packing lunches here right now, we are all home for lunch (except our son, who is in collage anyways). It is so much easier to make a healthy lunch fresh at home. I love broccoli for protein. You are so right! I do struggle to get my little ones to eat it though. Still trying. My oldest is at college now too. What year is your child? Thanks for stopping by. I hope you come back to visit us often. I get a lot of protein from nuts and nut butters. I include them in packed lunches. I especially like adding peanuts, sunflower seeds, almonds and cashews to trail mixes. I usually pack my lunch at night. My youngest prefers to eat at school. His school cafeteria has several choices. Since I want him to eat something, I allow him to pick something that he will eat. When he chooses a home lunch, it is not always the healthiest option. But, at this point, I just want him to eat something. We are working on improving his eating habits. I wish that I could have worked on this when he was younger. But, that was very difficult because , at that time, my husband was a VERY finicky eater and our youngest developed his eating habits. I always love visiting your blog and being a part of the blog hops. Have a nice weekend! I can relate all too well with wishing I had started eating healthy earlier. My teenager eats school cafeteria lunches. They are horrible. I would like to say there are a variety of healthy choices, but fruit in thick corn syrup is not what I call healthy. On the up-side. I have him for 2 meals a day and as a result, he is eating so much better than any other time in his life. I did get to pack for him during his summer football practices. He ate very well. He is a big fan of peanuts and raisin trailmix. I let him be picky, but his choices are all healthy choices since I don't keep junk in the house anymore. Change is slow. I feel better when I accept that. My son has come a lonnnnnnnnnnng way. I bet yours has too. Thanks for stopping by. Looking forward to seeing you at the hop. You are very blessed to have such a wonderful cafeteria. My youngest would probably starve if he only had the cafeteria. He would likely be living off of chocolate milk and white bread. Not too much nutrition there. My teenager doesn't eat peanut butter (texture issues), but my younger ones love it. It's great nutrition on whole wheat bread when you reduce the sugar in the pb & j. I was amazed at how easily my kids switched to natural peanut butter. All kids are different though. I figure I don't care what they eat as long as it's healthy. It's my daughter who loves all the variety. Thanks for sharing these! 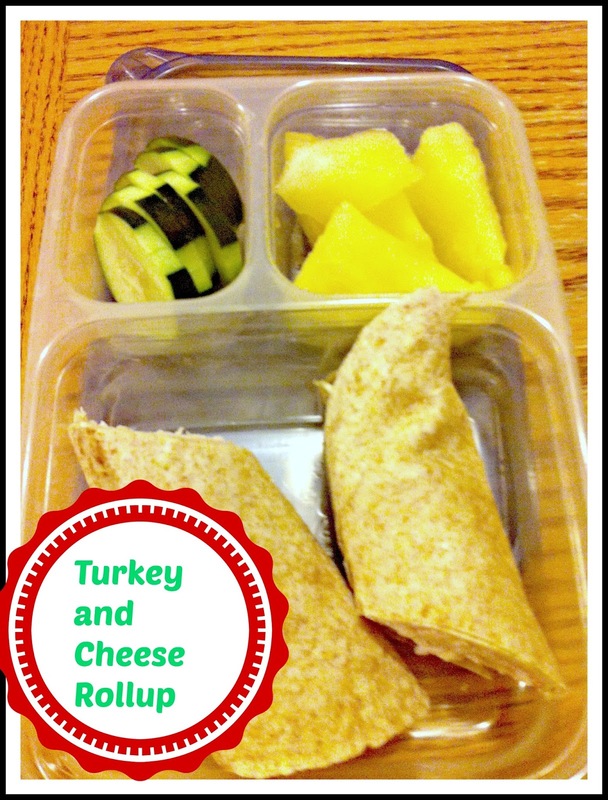 I am always looking for ideas for healthy lunches for my four kiddos! These look great! It's always a challenge keeping the kiddos fed. These are the snacks that keep my family happy and are fast and easy for me. Thanks for stopping by. I look forward to seeing you again soon! This looks great. Thanks for sharing at our Thursday Favorite Things Blog Hop. Thanks for stopping by Angel. Thursday Favorite Things is one of my favorite places to visit. I hope you are having a great week. Thanks for stopping by Katherine. I hope you fell better real soon. Your hop is always one of my favorite places to vist. Soya and nuts contain essential proteins. If you are a veggie lover, then you can include these food in your meals to gain essential proteins to your body. We do lunch at home and we alternate the protein source. You change things up with a little of everything; meat, beans and lentils, cheeses and yogurt, nuts, etc. My husband and I also pack lunches. He loves leftovers! It would be nice to eat at home, but I'm sure it is still helpful to plan things out so you don't spend your entire day staring into the refrigerator. A variety of proteins is what I like to do as well. My daughter seems to prefer a flexitarian menu. If I send meat everyday, she will likely not eat it. She is starting to eat more beans so that helps. She is not a fan of nuts unless it is a nut butter. And…………she isn't my picky one.